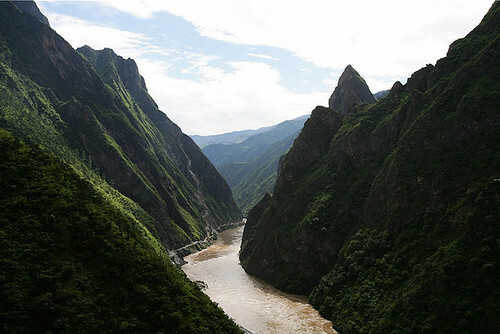 Yalong river gorge, Sichuan, originally uploaded by jiulong. This is the bottom of the Yalong river gorge, a bit further downastream from where I looked down on it from above at Mongdong. This section is between Jiulong and Mianning - but it gives you an idea of how steep and narrow the gorge is.